Have a Smart Thanksgiving! Think books. 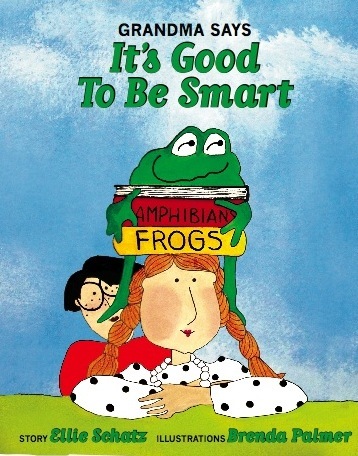 It’s here: Grandma Says It’s Good to Be Smart. Grandmas and grandpas will love the serious message. They will want to share it with their little ones. Written for children ages 3-7, I recommend sharing it from the day a child is born. The children will love the whimsical characters. They will be able to talk animatedly with you about reading, thinking, exploring, using big words, using their imaginations, and all the fun ways they can learn about themselves and the world around them. Using this tool, parents as well as grandparents can plant the seed for years of shared curiosity. It will help children to enter the social community of neighborhood and school with confidence in themselves as learners. Contact Ellie at Ellie Books today for your copy from a limited first printing. Order information is posted on the Ellie Books page. This entry was posted in Children's Books, Early Learning, Gifted and Talented Children, Grandma Says It's Good to Be Smart, Growing up smart, Young Children and tagged ages 0-3, Buy now, grandparent alert, learning is fun, parent alert. Bookmark the permalink.